I'm going to buy the VBox TV GW but i'm still asking myself which is the best one, considering a future proof solution. MY TV is UHD Samsung 55" with DVBT2 & S2 receiver. So the TV is able to tune both channels and in Italy the only way to see 4K channels is to a have a satellite. As far as i know the congestion of channels on DVBT2 and the lack of free frequency will shift 4K channels to an unpredictable time. Totally different is the situation on Satellite also looking to the future, there is more bandwith and possibility to move to 4K easily with new channels and a lot of space. 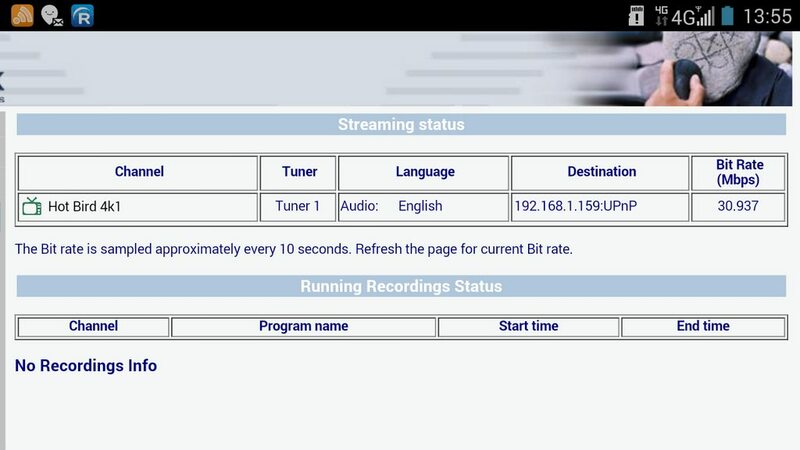 So, now only Vbox DVB T2 is able to stream 4K channels...the one with double tuners T2/S2 don't mention this capability. Is it scheduled a future version or an upgrade firmware for scaling S2 stream to 4K? Please, could you give me any advice on that or which one i'd have to buy? My best regards and thank you for any suggetions. so the XTi-3340 combi can stream a 4K channel feeded from S2 receiver?